Do you suffer from depression and have you noticed that this has improved because of the MIR-Method, or has it even disappeared altogether? That’s great! 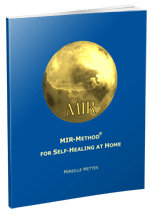 Hi Mireille – it is now about three months since I completed the MIR-Method course and I have to say it has helped me enormously. I was very depressed when I started, extremely anxious and low both physically and mentally. My life really is now turning around in every respect. Thank you so much. It’s fascinating how the positive effects have gradually seeped into all aspects of my being and still are doing so. Amazing! YES!! I am SO thrilled about your wonderful turn-around! SO great! What if many more people can achieve this, by doing the MIR-Method for themselves. I am very happy for you! And thank you for passing it on! Ayez courage et patience s’il te plaît. Une dépression peut prendre son temps de guérir. Tu bois de l’eau pour te ‘nettoyer’? Several years ago, I found the MIR-Method, on line. I took a look — and thought, how can repeating nine phrases while stroking my hands, deal with a severe, decades long, depression? My problems are way to big for that! I am 67 years old. I have tried anti-depressants, traditional talk therapy, cognitive therapy, many types of meditation and spiritual practices … and the list goes on and on. Although I knew some of methods I had found were quite profound, and helpful to others, nothing seemed to open the door, for me. I’d tried everything, I thought, in ernest. I didn’t want to speak to anyone – unless I had to. I didn’t leave the house – unless I had to. I wasn’t getting out of bed – unless it was absolutely necessary. I hadn’t worked in years. Every thought, was filled with fear and dread. I felt a searing pain, through my gut, every time I’d tried to stand. I continued to receive the Newsletter, and this time, instead of dismissing the method … I thought … this is great! All I have to do is a 2 minute practice, twice a day … and that’s about all I CAN DO! Four days after I started, I woke up — frightened, panicked, in pain, thoughts attacking me left and right — in other words, the usual start of my usual day. I grabbed that card – with the 9 statements, and immediately after went into a state of deep and complete peace. It lasted – I think an hour. This time, I didn’t get out of bed, not because I literally couldn’t, but because it was such a pleasure just to be! Just to breathe and be! How can I put into words, what this deceptively simple method had done in such a short amount of time? Perhaps, all my other methods, meditations, and efforts, were just waiting for the one that would tip the scales. And this is it. I am certain. PS: My blood pressure dropped from 150/80 to 110/70 — in eight days, and I continue to see, continued blessings. This is all thanks to Mireille Mettes, and the MIR-Method. I had a traumatic childhood with an alcoholic, schizophrenic father who daily brought us to a war zone (domestic violence), and a loving but anxious mother who did not protect me. My mother was and still often is in the child’s role, which meant that I was never able to be a child, but also never experienced unconditional love or security, with the result that I, as an adult woman, am very insecure, don’t love myself enough and have always searched for love in other people rather than myself. Yesterday I was pointed to the MIR-Method and it is incredible. I have just done it for the second time and I am amazed. I felt this morning as well as now a feeling of peace, serenity, and no compulsion to HAVE to search. Feel good; in fact, I don’t think I’ve ever felt this way. This morning, it receded after a few hours because of an uncertain situation at work in which I don’t know if I can stay or not. But, in spite of my coming home in tears, super insecure, I did it again and am now in a sort of trance of serenity. All I can only say is thanks…thanks for touching so many people so tenderly. And I hope to be able to say in while that I really have learned to love myself, am proud of myself and think that I am important enough. Here’s to the pain from your childhood healing! Give yourself time for it and let it slowly but surely, layer for layer, go away. It’s wonderful to see how you, in spite of setbacks, can pick yourself up again! I’ve made another video that may help you: Seed of Self Love. Good luck! Been doing the MIR-Method for four weeks now. Was depressed. Am now slowly moving forward. Will continue with the MIR-Method. Good that you are persevering, in spite of your problems! It is certainly for you to continue, as long as you have complaints and for at least another 4 months! Also on behalf of Mireille Mettes, I wish you much strength and perseverance! A few years ago, I had 25 radiation treatments, 5 chemo treatments and took anti-hormone pills for 3 ½ years until I discovered that I was probably so tired because of them. I’ve been tired ever since. And depressed. There seems to be improvement with that. Maybe it’s logical that it takes a long time. How long? Would coaching quicken the process? I wish you much strength with your healing process. And yes, a personal protocol from a coach can certainly quicken the process because you can target the causes of the problems better. Wishing you much strength and success! I’ve been doing the MIR-Method for almost four weeks now; I’m very pleased with it, as I’ve got more energy and notice that I feel emotionally stronger. I do have a lot of itching, especially on my arms. Very familiar to me; it’s a miracle that it really works. On the website is an overview of all MIR-Method guides; you can click here and search by zip code for someone in your area. There are also MIR-Method guides who work via telephone, Skype or e-mail – you’ll need to ask the specific guide. Many thanks for spreading the news about the MIR-Method and making it available to everyone! Your daily support e-mails have meant a lot to me. They gave me the strength to persevere with the MIR-Method and to also trust that my body really is capable of healing itself. I started out slowly with only doing steps 5 and 7 for 10 days because of my complaints (burnout, chronic depression and problems sleeping through the night). After this, I started with the 9 steps and that went fine. I started sleeping better and feeling fitter during the day. I also had more self-confidence, more inner peace and I can now make decisions and establish boundaries more easily! After 3 weeks, I had a guide make a personal protocol that involved doing 15 extra steps twice daily for 5 weeks, along with the regular 9 MIR-Method steps. Symptom that disappeared is: a shortage of minerals and basic needs. In the meanwhile, I’ve been doing this for five weeks now. I’ll continue doing it. Have serious depression and burnout behind me. Many emotional problems. I just feel stronger and this is also physically evident. Don’t feel as weak, helpless and despondent. Started 6 weeks ago with the MIR-Method… (did it for 4 weeks) it went well….I immediately had a good feeling about it…Even more….I felt myself getting stronger, started having problems with depression at my young “old” age (66 years! )….awful…and wanted absolutely not to take anti-depressants! Now I feel myself becoming a little unstable again, so perhaps it’s a good idea to start again. In any case, thank you very much for making the MIR-Method available for free…I’ve also recommended it to my friend, who has also started is…. Great that you’ve so many good reactions already! Yes, just start over with the MIR-Method. With depression, it’s better in any case to continue doing the MIR-Method for 4 months; longer is fine, too! Much success and I love hearing how you are doing! Yes I feel happy …. Wonderfully happy with the MIR-Method you have developed.… as you advised, I’ve continued with the MIR-Method because of a (light) depression. I’ve persevered and am totally happy and especially grateful…. IT HELPS…wonderful…don’t take any tablets, no psychologist….it’s AMAZING!!! I do it every morning and evening! Consistently. Good luck and once again, thank you very much…. I would like to thank you very, very much, because you saved my life, that’s how it feels for me. Last winter I was very depressed and nothing mattered to me anymore. It is just amazing how this method helped me to start living again from the true core of my being! My spirit is inside my body again, in the here and now! All the things that I used to like (and didn’t do out of apathy) I enjoy doing again: reading, sports, cooking, enjoying nature, enjoying people, taking care of myself and other, listening to music, making plans, undertaking all kinds of things. I have so much more energy! I am just my old self again! I feel great and just feel like making jokes all day long, about things that would annoy me in the period when I was depressed. Life is so much lighter now, many things are somehow in my advantage and turn out the way I used to dream they would. Am I enlightened? Hee hee, well, life is sure a lot lighter now!!! I immediately shared your website with an acquaintance, who had just started taking anti-depressants because she was in a bad place. She felt that the MIR-Method would be good for her and started doing it immediately. She’s been doing it for a week now and already feels a lot happier. That’s great, isn’t it!!!!! !